If you are interested in any part of U.S. history, then you will probably want to check out the collection FedFlix. It is a huge selection of films produced by the U.S. government, in many different genres. I have previously reviewed a number of them, not least the Why We Fight series. 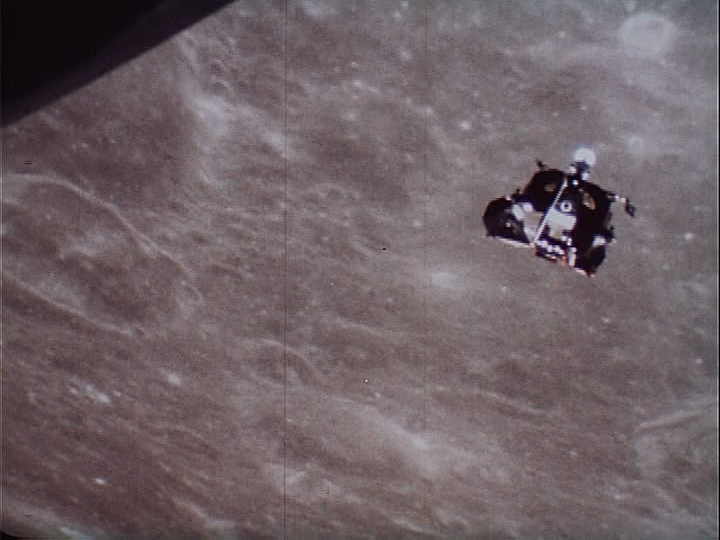 This week I take a look at a documentary that was made after the Apollo 11 moon landing, Moonwalk One, a slow-moving, almost meditational, film that may have been the first feature-length documentary about the event. Moonwalk One covers selected aspects of development and preparation before the flight. It also features some interesting historical background to the space race, including clips from the Flash Gordon and Buck Rogers movie serieals. But the focus of the film is, of course, on the mission itself. The lift-off, the landing, and the trip back. In order to explain things, there are some simple, but adequate, pedagogical animations. The film is, in many ways, similar to The History of Apollo series of short documentaries that I have previously written about. That series covers the entire Apollo program, whereas Moonwalk One goes more in depth about one single mission. Both are good, and which one you choose is a matter of preference. This film is best enjoyed as a reflection of its time. I was born in the same year that this documentary was released, yet I can almost understand the immense feeling of accomplishment and belief in the future that the moon landing nurtured. 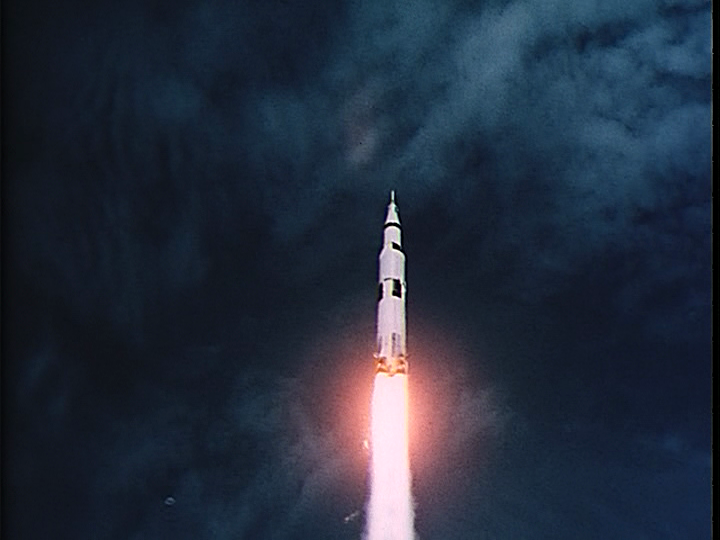 It is definitely a good documentary if you happen to be interested in the space race, in particular the scenes depicting the impressive Saturn V lift-off. But it lacks the perspective that a few decades tend to lend to historical events. 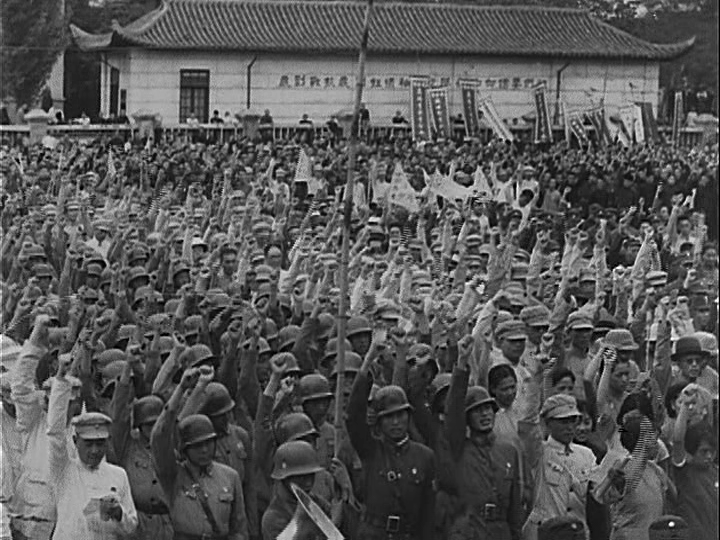 In Frank Capra’s classic Why We Fight series, where he tried to explain to the American public why it is important to participate in World War II, the turn has now come to The Battle of China. Actually, there never was a battle of China as such. There were a great many battles fought in and around Chinese territory during as well as before World War II. 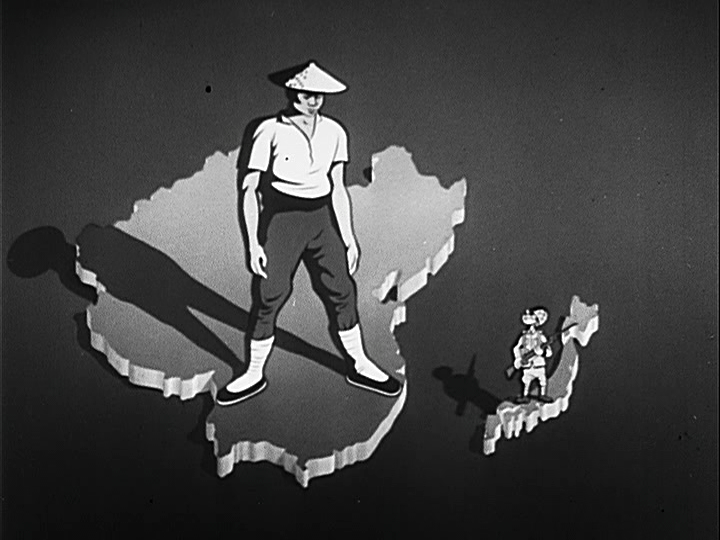 And, unlike The Battle of Britain (which was also not a “battle” in the traditional sense), the term “The Battle of China” has not stuck in people’s conscience. Ok, so the title is a misnomer. Big deal. The film is brilliantly produced, and while it does not exactly present any right out lies (that I can detect, anyway), it bends and omits facts to suit its purposes. The Chinese people in general and Chiang Kai-shek in particular are glorified to the heights of heaven. They are brave, strong and hard-working. They are a worthy ally to the American people. Like other parts in the series, and like many other American propaganda films from the war, it does not shy away from presenting some of the cruelties of war, such as wounded soldiers, or even dead children. That may seem surprising, but was probably done because it would presumably strengthen the American people’s will to fight. This film is best enjoyed if you like the other parts in the series, or if you want to watch an episode to see what it is all about. I know that many hold it as their favourite of the entire series, and I am not going to say that they are all wrong. As far as I know, the first feature film adaptation of Robert Louis Stevenson’s story The Strange Case of Dr. Jekyll and Mr. Hyde was the 1920 film I wrote about last week. It was to be followed by many others, and one of the best is the first sound version, Dr. Jekyll and Mr. Hyde, starring Fredric March. This film starts with a very nice first-person sequence, where we get to follow Dr. Jekyll on his way to a lecture on his research. First-person narrative is not that common in modern film, but here it works since it is well made and later in the film it is just used frequently enough to make it a distinguishing feature of the film, without seeming intrusive or overused. March plays the dual role of Jekyll and Hyde with a vigour and zest that is pure joy to behold. You can tell that he is having fun, and at the same time he is giving a completely professional performance. 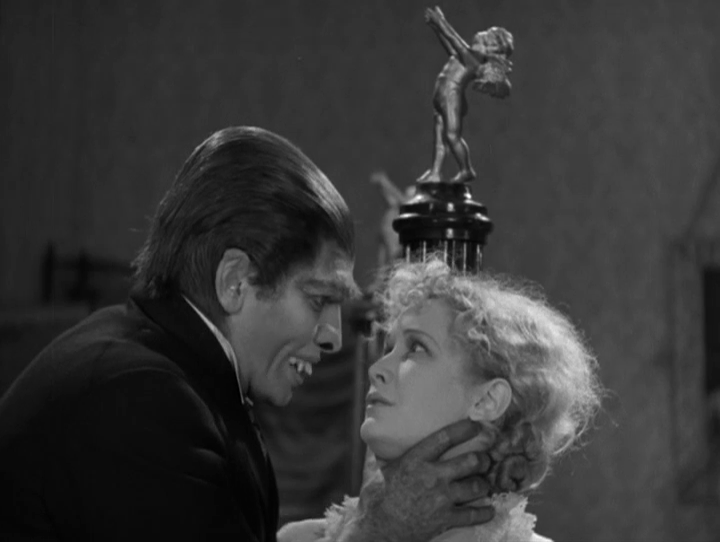 Not only March is excellent in his dual role, but many of the other actors are also very good, not least Miriam Hopkins as the fallen woman who tempts Jekyll, and thereby indirectly becomes the agent of her own destruction. 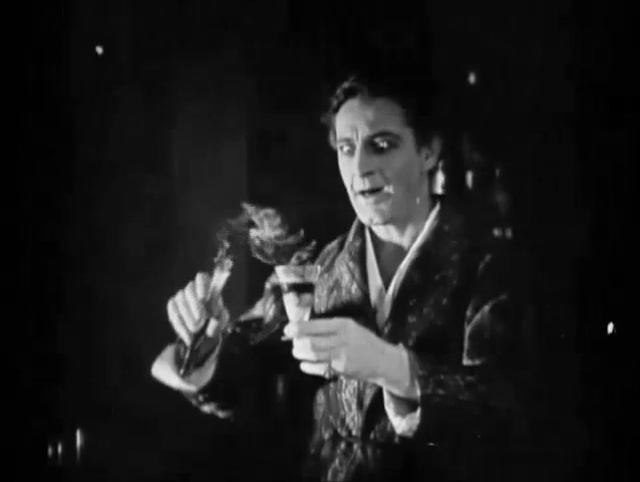 It is of course almost impossible to avoid comparing this version with Barrymore’s from 1920. Both actors make brilliant, and somewhat different interpretations. Personally, I prefer March as Jekyll but Barrymore as Hyde. The later film has some very nice special effects in the transformation, and is overall more impressive and more moody in its sets and lighting. 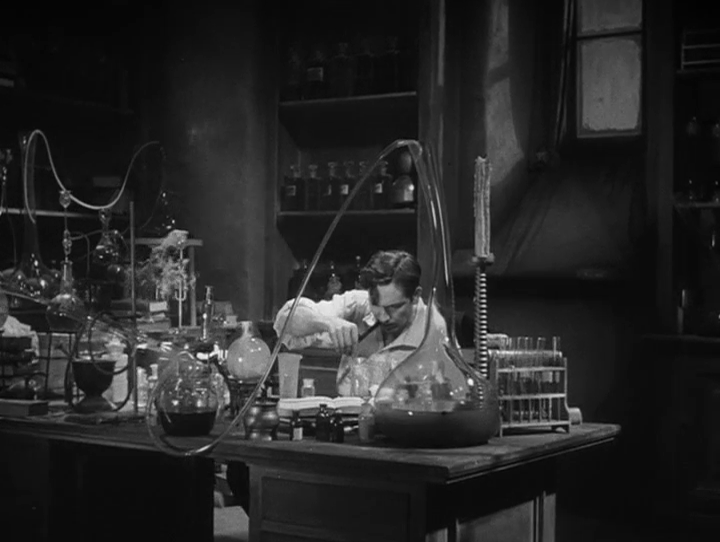 Dr. Jekyll’s lab, in particular, is absolutely marvellous. The later film is also more specific and less Victorian in its attitude to Hyde’s atrocities. While still pretty tame compared with some modern movies, it is a good step forward, and quite more open in terms of violence and sexuality, in spite of being produced after the introduction of the infamous Production Code. As you may guess from the above, I do have a preference for this version over the silent one, but both are very good, and both deserve to be seen on their own merits. 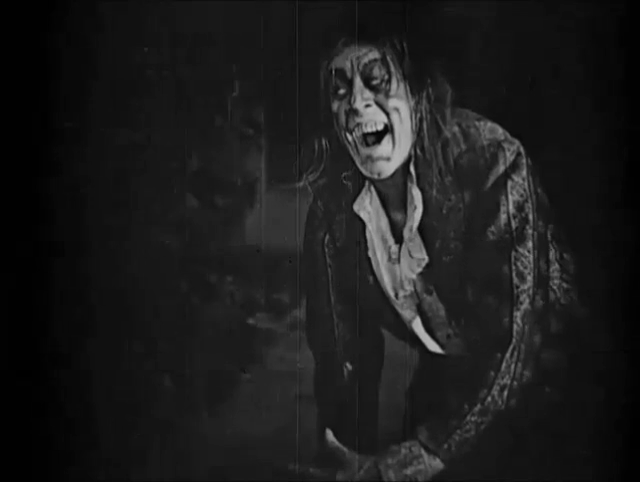 Several other filmed versions of the Jekyll and Hyde story exist at the Internet Archive. In addition to Barrymore’s 1920 version, two early shorts are of particular interest. They seem to be the two oldest surviving versions, one from 1912 and one from 1913. Of these two, the latter is definitely the better, although the older version naturally has a strong historical significance. This film is best enjoyed for its mood and attention to detail. It is a good example of the films that were made just in the beginning of the sound era, and that retained much of the creativity and artistry from the best silents. Robert Louis Stevenson’s story The Strange Case of Dr. Jekyll and Mr. Hyde is arguably one of the most popular, or at least well-known, pieces of literary fiction ever written. The original story is available at the Internet Archive (link above; and you can also get it in Esperanto), and there are of course lots of other texts related to it, and also a number of film adaptations. Far from the first, but the first that became a hit and a classic, was the famous 1920 adaptation Dr. Jekyll and Mr. Hyde with John Barrymore in the dual role of Jekyll and Hyde. Most film adaptations, this one included, are actually not based directly on Stevenson’s story, but on a stage play that premiered in 1887, only a year after the story’s first publication. The play took several liberties with the original, adding and deleting characters and subplots. There is one problem in particular with adapting the original story. The story builds on the suspense of not knowing that Jekyll and Hyde are one and the same, but today every school child knows this even before they have ever read the story. Therefore, the adaptation must rest on other dramatic effects, such as the physical transformations, or the cruelty of Mr. Hyde. The stage play took care of all this, and added a bit of romance as well, which is the reason why it has remained the basis for Hollywood’s treatments of the story. The copy I link to does not have a soundtrack. Other versions at the Archive do, but none of them is really very good, and they are all of inferior image quality. Therefore, I prefer this one. This film is best enjoyed for Barrymore’s exceptional performance. Sure, some of Hyde’s vices feel a bit aged by toda’s standards; as Victorian as the original story itself. But even so, Barrymore works perfectly in the dual role, both as the smooth and elegant gentleman and as the degraded brute.